Service was good. Washing machine problem hard to explain. Acting up even without codes. First there are codes, then not..just weird. Time for a different machine because I am tired of having to keep scheduling and waiting for a repair person to show up and then continue to have same problems even after the machine readout says it is fixed. Not my-nor repair person’s fault. Great job! Came on time, fixed the problem quickly and was polite! Service was good. Customer friendliness a little less so on second visit. We appreciated the scheduling accuracy, and that the onsite repair technician was on-time. He was also able to accomplish the repair right away. DISHWASHER WHIRLPOOL WDT720PADM2 "Leaking from the vent again. Per tech line there has to be something going on with the inner door panel. Needs new panel, gasket, vent and deflector. Customer is requesting the 10-2 time frame again. File #7724589127; ordrng 1 W10860142 (INNER DOOR) and 1 W11112070 (DEFLECTOR) and 1 WP8269259 (GASKET ) and 1 WPW10428211 (VENT)"
RANGE WHIRLPOOL WFE505W0HS0 "Unit making a squeaking noise during preheat, normal flexing of the liner. Unit is getting up to temp on higher set temps, told cust that it can take 10-15 minutes after it signals preheat done before it actually gets there. Unit is heating up the liner and that is what maintains the stability of the temps. All ops good"
RANGE WHIRLPOOL WFE515S0ES1 "Oven door not closing properly. Removed door and drawer and inspected frame, found frame damaged along top left corner. Also damage to top. Took pics and called WP techline to document, SR 7724608035. Transferred to Trade Partners and documented with them that unit is not repairable. They will forward to Product Review for exchange and contact customer"
DISHWASHER WHIRLPOOL WDT920SADM3 "Installed new valve and elbow fitting and tested. Unit filling normally, no leaks or drips. Left bad parts with cust"
REFRIGERATOR WHIRLPOOL WRX988SIBM03 "Icemaker not producing ice. Ice box fan running and temps good. Entered diagnostics and checked for icemaker error codes, got e2 motor lost position. Ran harvest test 57, the icemaker failed test. Ordering icemaker, cust paid in full; ordrng 1 W11294907 (ICEMAKER)"
WASHER MAYTAG MVWB835DW4 "Replace suspension, calibrate, run test cycle, ok"
WASHER WHIRLPOOL WTW7300DW1 "Customer stated still leaving white residue. No error codes today. Per tech line she needs to add more clothes so the machine will add more water. He also wants her to use bulky, deep water and extra rinse. She is still using a tablespoon of soap and doing the clean washer cycle once a month." REFRIGERATOR WHIRLPOOL WRR56X18FW02 "Installed new evaporator,compressor and charged with 4.8 ounces of r134a. Customer will give it 24 hours to cool down." 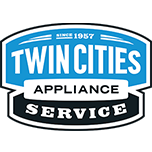 REFRIGERATOR WHIRLPOOL WRF540CWHZ00 Customer stated freezing items on the top shelf. She has it set on the recommended setting of 38 and temps on the top shelf were at 32. I bumped the fresh food up to 40 and the freezer up to 2. Customer will monitor temps over the next couple days. If still freezing please order harness with thermistor WPW10224292. REFRIGERATOR WHIRLPOOL WRX735SDBM04 Installed new door and handle. Operation tested good. REFRIGERATOR KITCHEN AID KFIS29PBMS03 Installed new control board kit. Operation tested good. REFRIGERATOR KITCHEN AID KFIS29PBMS03 "Unit will periodically shut down all cooling functions. Intermittent, does not follow any particular schedule, sometimes two weeks, sometimes a month between occurrences. Cust will unplug unot then plug back in and cooling will resume. Needs main control board and UI, ordering board kit. Cust paid in full; ordrng 1 W10878992 (CONTROL BOARD KIT)"
REFRIGERATOR WHIRLPOOL WRR56X18FW02 "Unit will come on, comp and fans running for 2-3 minutes, then all turn off. During that time very little refrigerant comin* into evap. Suspect short cycling caused restriction in drier. Ordering control and dye drier; ordrng 1 W11253231 (CONTROL) and 1 WPW10143759 (DYE DRIER)"
WASHER WHIRLPOOL NTW4516FW3 "Replace parts, calibrate, run test cycle, ok"
REFRIGERATOR WHIRLPOOL WRX735SDHZ01 Customer stated no ice is being dispensed and she cannot remove the bucket. I was able to get the bucket out and found big chunks clogging the auger. Operation tested good after cleaning the bucket out. I instructed her on how to remove the bucket and maintain the ice dispenser. REFRIGERATOR MAYTAG MSS26C6MFZ00 "Icemaker dispenser not working properly, auger motor turning but bottom coupling not fully engaging coupling on bottom of ice bucket. Sometimes ice will dispense, most of the time it will not come out. Ordering new ice bucket and bottom coupling components; ordrng 1 W10852956 (SPRING) and 1 W10859381 (ICE BIN) and 1 WP2198628 (SEAL) and 1 WP2220458 (COUPLER) and 1 WPW10258544 (SHAFT)"
DISHWASHER KITCHEN AID KUDE70FXSS5 "10-3 and sump leaking, need sump and vent fan, cust will call if wants fixed, 130.90"
COOKTOP KITCHEN AID KICU509XBL00 "Received incorrect module, got w10857233 instead of w10857232. Reordering corr3ct module; ordrng 1 W10857232 (MODULE)"
WASHER MAYTAG MVWB835DW3 "Tub making loud grinding noise during spin cycle. Ordering gearcase assembly, job code 2; ordrng 1 W10811956 (GEARCASE)"
REFRIGERATOR WHIRLPOOL WRF954CIHV00 Installed new fill tube and drip tray. Operation tested good. REFRIGERATOR MAYTAG MSS26C6MFZ00 "Installed new parts for ice dispenser and new ice bucket and transferred ice. Tested dispenser, now ice coming out normally in both regular and crushed." WASHER WHIRLPOOL NTW4516FW3 "Install all parts board made a pop lock my door latch wouldn’t release, had to break it off had new one in truck install on still not locking on line with stac found 120v at board consisted which is not normal he said to get new board and lock. ; schdld next appmnt for 3/11 MON !"